The private equity firm Resilience Capital Partners announced today that a fund managed by the firm has acquired three medical device service and manufacturing units. The move establishes Resilience Capital Partners as one of the leading providers in this growing segment of the health care industry, which is relying on these third-party device repair companies to control costs. The units acquired by Resilience Capital Partners are the Multi Vendor Service (MVS) unit of Bayer’s Radiology business; Wetsco Inc.; and MD MedTech LLC (MDMT). All three businesses – MVS, Wetsco and MDMT – are being combined and will operate under a new holding company, Innovatus Imaging Corporation. The fund also has reached a definitive agreement to acquire the European operations of MVS, based in Maastricht, the Netherlands. This transaction is expected to close by March 31, 2018. In the interim, Innovatus Imaging will continue to serve European customers through a transitional service agreement with Bayer. “The creation of Innovatus Imaging through the acquisitions of MVS, Wetsco and MDMT gives us the scale and synergies to succeed in a market that is projected to grow by double-digit figures over the next five years as health care providers are asked to do more with less and extend the life of costly medical devices through repair and servicing,” said Steven H. Rosen, co-CEO of Resilience Capital Partners. Ensuring continuity, Innovatus Imaging will draw its leaders from the senior ranks of the acquired companies. Dennis Wulf, former president of Wetsco and chief executive officer of MDMT, will serve as chief executive officer (CEO) of Innovatus Imaging and is a co-investor in the new company. Bill Kollitz, formerly general manager of MVS, will serve as president and chief operating officer (COO) of Innovatus Imaging. Michael LaBree, co-founder, chief operating officer and vice president, engineering of MDMT, will serve as chief technology officer (CTO) of Innovatus Imaging. Pittsburgh-based MVS previously was part of Bayer’s Radiology business. It is a market leader in the third-party service-repair business for radiology devices, including ultrasound probes, magnetic resonance imaging (MR) coils and computed radiography readers, dry film printers and the sale of digital radiography detectors. MVS has been a frequent customer of MDMT, purchasing its ultrasound probe replacement components. Tulsa-based Wetsco is a leading third-party ultrasound probe repair provider that has an exclusive alliance with MVS since 2008, specializing in repair and capability development on standard and 3D/4D probes. 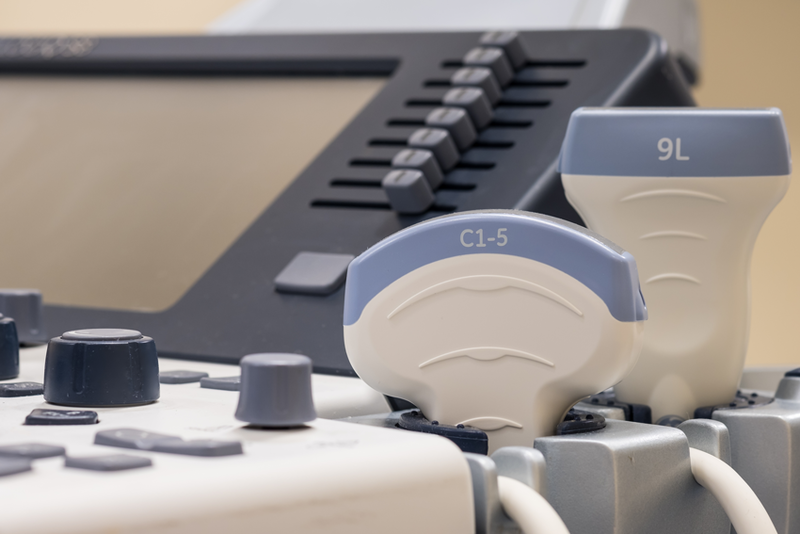 Based near Denver, MDMT designs and manufactures specialty medical ultrasound products for the OEM, third-party repair and research markets. “The combination of MVS, Wetsco and MDMT within Innovatus Imaging will ensure our ability to support customers and the imaging community. It also will enable us to expand our service strategy and new product development,” said Wulf. Resilience Capital Partners, which manages in excess of $625 million, has now completed 12 transactions over the past 12 months and 18 transactions in the past two years. Funding for the Innovatus Imaging transaction comes from Resilience Fund IV, which closed in October 2015 with $350 million in investable capital, and from co-investors including Pittsburgh-based North Park Capital Partners. The transactions involving MVS (U.S.), Wetsco and MDMT closed on August 31, 2017. Financial terms of the transactions are not being disclosed.